Abstract: Airwheel H series are proud of its incredible stability and natural ride ability so that anyone can ride them virtually in a matter of second. 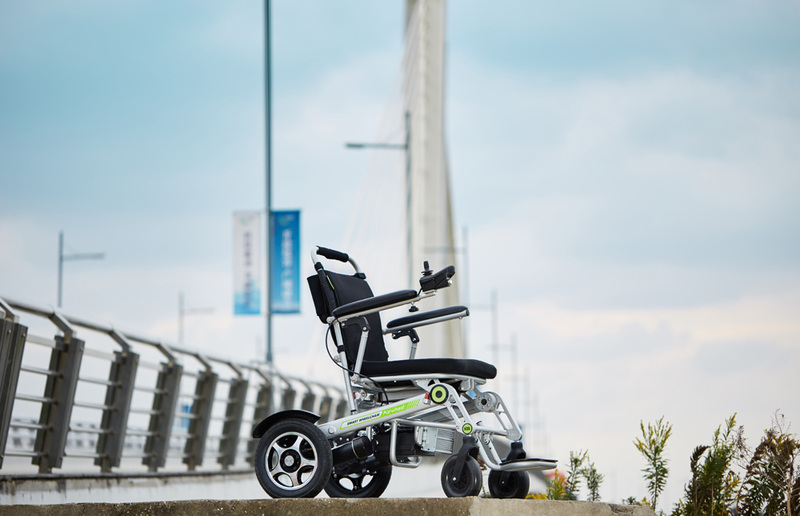 Airwheel H3 smart electric wheelchair is a reform in transport modality. Airwheel H3S is a reform in transport modality that can be analyzed in the following aspects. 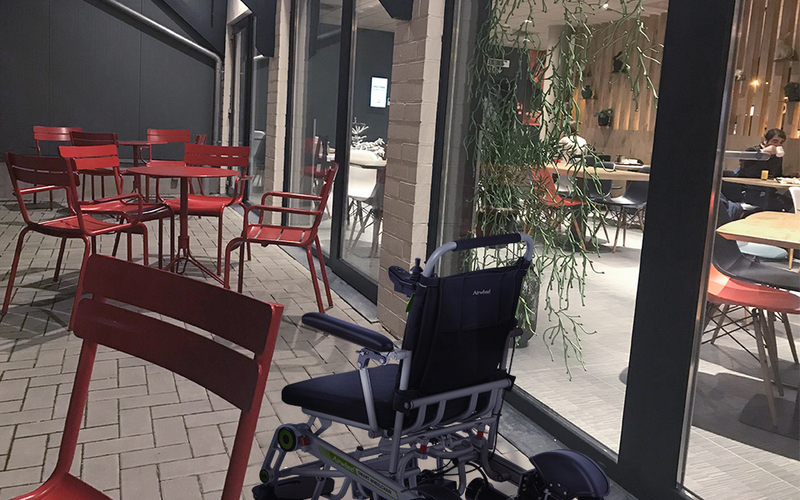 In the first place, H3S foldable electric wheelchair is proud of its incredible stability and natural ride ability so that anyone can ride them virtually in a matter of second, thanks to the intelligent joystick controller, a newly designed operation panel. Small and comfortable, it not only accords with ergonomics, but also makes the operation easier than ever. Riders just push the joystick controller forward, backward, left or right, and then H3S will go forward, backward, left or right. It will automatically brake when rider's hand doesn't touch the controller. Airwheel H3S smart electric wheelchair is designed into both electric and manual riding model. Such a design allows riders to travel farther and gives more options for them. On one hand, riders can enjoy the company of friends and families in the manual mode. On the other hand, riders can enjoy an effortless ride and stop and chat freely in the electric mode. Another important feature is the automatic folding system. It can fold and unfold automatically and saves much trouble. 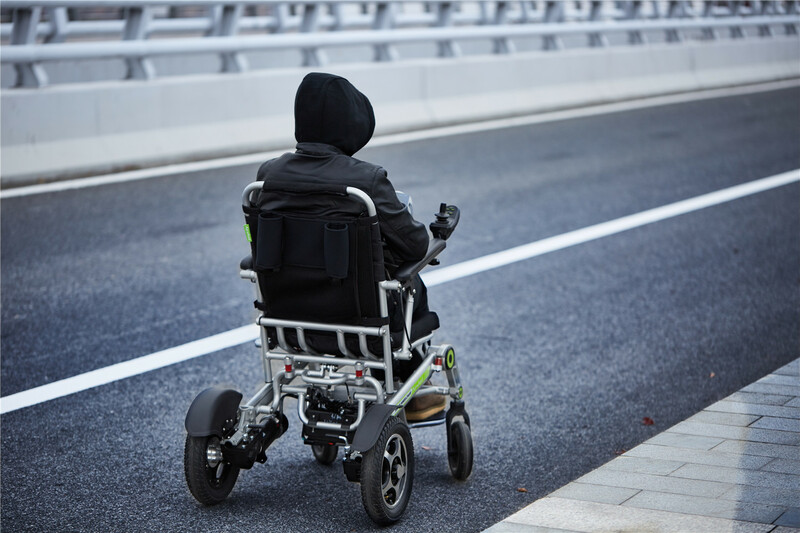 Airwheel H3S motorized wheelchair occupies an area less than a floorboard based on size data. With the folding size of 890mm*620mm*400mm, H3S is quite portable and weave freely in narrow space. In addition, Airwheel H3S makes greater breakthrough in agility since it can complete a 360° rotation with the Omni-directional wheels. It installs 12.5 inch rear tires and 8 inch front tires with excellent performances ensuring a smooth riding experience. H3S is able to negotiate on a variety of road conditions, with excellent traffic ability and flexibility. It is worth mentioning that H3S power chair is a smart product of Airwheel. It is not only equipped with specially developed mobile app that can be connected with H3S to monitor the real-time dynamic data during riding, but also realizes remote control, with three different control modes. The advent of H3S presents another reform transport modality and this time, it is designed for the senior citizens.